For me, the name Chillamundo has been like a hazy fog obscuring the entrance to some ancient tomb waiting to be excavated by a musical Indiana Jones ever coveting artifacts of interesting tuneage. For whatever reason –– likely based solely on their deceptively nonsensical name –– I erroneously assumed they were akin to the sort of bromidic TCU frat-rock bands that once propped up the old Berry Street scene in the early aughts, and I had never bothered to give them a listen. Well, the bell clangs ding-ding, and supercilious shouts of “Shame! Shame!” are a din in my ears. I’ve been a fool to ignore them. With its brand of compelling and scatterbrained “(sm)art-rock,” Chillamundo is one of the Fort’s more sonically interesting bands. A short 13 months after their debut EP Radio Is On completely failed to register with me, the foursome are piloting a new album that has thankfully landed in my headspace. Paper Airplane, an eight-song full-length of controlled experimental indie, drops this weekend. Featuring affable singer-guitarist and principal songwriter Denver Williams (Deep Sleepers, Vincent Neil Emerson), the group’s sophomore effort continues the genre-ly loose yet undeniably infectious songcraft that began on Radio Is On. 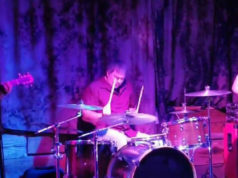 But, along with guitarist Neal McAlister, bassist Caleb Stanislaw (The Hendersons), and drummer Nick Tittle (Arenda Light), Williams aims his jet toward even higher sonic atmospheres, coupling “why didn’t I think of that?” musical adventuring with contagious vocal melodies to deliver his clever balance of introspectively thoughtful and downright silly lyrics. It’s this equilibrium between meticulous intention and comical absurdity that is Chillamundo’s trademark. On Paper Airplane, the guys in Chillamundo are comfortably cavalier with how sharply they’ll yank the wheel into right-angle turns from one song to the next. They channel the ghosts of 1990s noise rock guitar-quirkists Polvo on the opening title track, with its stuttered chaos over the intro and verses. They pique teen angst on the could-have-been-penned-by-Kurt-Cobain “Chinese Finger Trap,” amuse with the Casio space-trip monologue “Message to Passengers,” and set the cruise control for a top-down wind-in-your-hair joyride with the tender “Just Dreaming” –– exploiting the freedom the band has with no predetermined sound ever in mind. 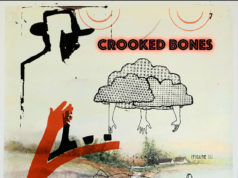 For the album, the group again worked with Peter Wierenga (Siberian Traps, Jake Paleschic), who recorded Radio, to engineer and offer production advice. Williams said he sees Wierenga as almost a fifth member of the band due to their comfortable working relationship. 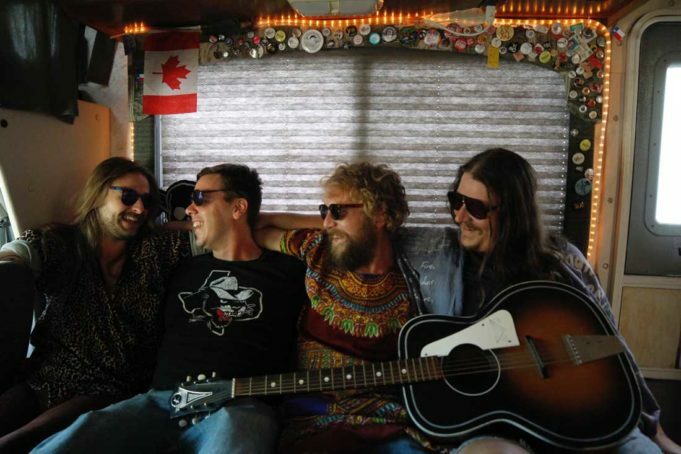 Wierenga and the band originally went into South Side’s Cloudland Recording Studio to begin work on Paper Airplane just after Radio Is On was released last year. 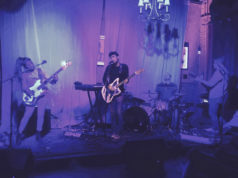 After roughly half the album was recorded, then-bassist Charles Marchbanks left Chillamundo to focus on his other project, the danceable indie-pop outfit Henry the Archer. Stanislaw would replace him and join the others for the remainder of the sessions that wrapped up this past summer. UTA’s basement studio-runner Billy Herzog mastered the finished product. Paper Airplane takes off with a release show on Saturday at Lola’s Saloon (2735 W 5th St, 817-759-9100) as part of a pleasingly eclectic bill shared by garage-punkers War Party and country crooners Tommy Luke and Vincent Neil Emerson.